Taiwan, HTC's homeland, will be the first country to get the new HTC One M9. HTC will be launching the flagship tomorrow - March 21 - and it will be available in both 32 and 64GB flavors. Not all color option will be available initially though - only the Gunmetal Gray and the Silver/Rose Gold will make it to the stores on March 21, while the Amber Gold is scheduled to kick off later in April. There is no word on the Pink/Gold paintjob. The 32GB HTC One M9 will cost TWD 21,900 or €650, while the 64GB model is priced at TWD 23,900 or €710. The European prices should be about the same. 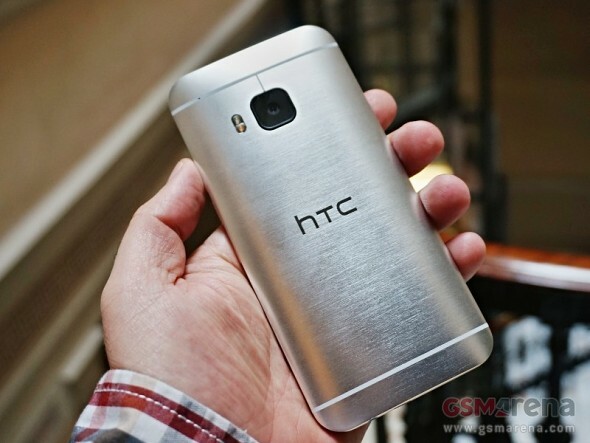 HTC US has already announced the One M9 availability for the States - it will be released on April 10, the same date the Galaxy S6 launches globally. The US pricing and carrier options are yet to be detailed though. HTC One M9 packs a 5" 1080p display, runs on Snapdragon 810 chip and features a new 20.7MP rear camera with 4K video recording. There are also 32GB expandable storage, 3GB of RAM and a 2,840 mAh battery. The all-metal One M9 introduces refined design with dual anodized, scratch-resistant coating and sapphire glass on the camera lens. why htcdesire 820 dual sim not getting lollipop 5.0?